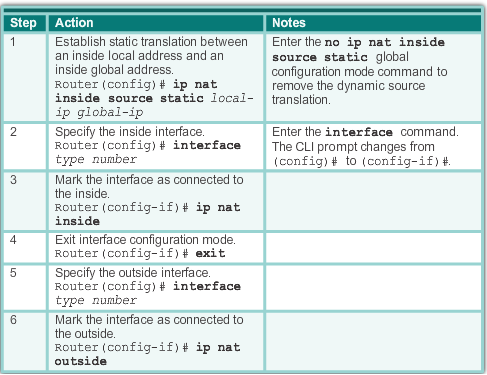 Static NAT uses a one-to-one mapping of local and global addresses. These mappings are configured by the network administrator and remain constant. Dynamic NAT uses a pool of public addresses and assigns them on a first-come, first-served basis. When an inside device requests access to an outside network, dynamic NAT assigns an available public IPv4 address from the pool. 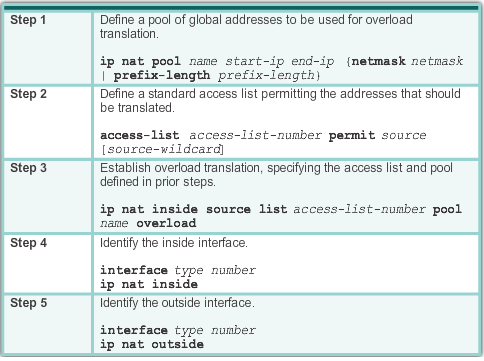 PAT (also called NAT overload) conserves addresses in the inside global address pool by allowing the router to use one inside global address for many inside local addresses. In other words, a single public IPv4 address can be used for hundreds, even thousands of internal private IPv4 addresses. Many-to-one address mapping between local and global addresses. This method is also known as overloading (NAT overloading). Examples will be with next update ..!